Planning a holiday is always fun – especially to countries with great scenery and beautiful architecture and culture; for example planning for Iceland Holidays is just such a joy. From my travel research, this is, in my opinion, top 5 places in Iceland that any visitors to the country should check out. 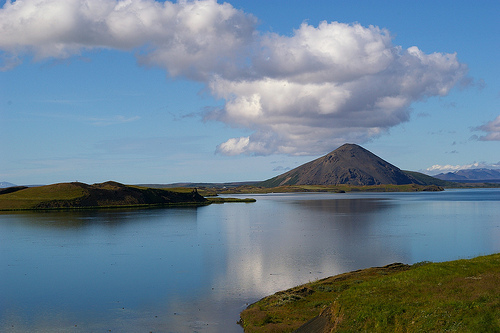 Covering an area of 36.5 square km Myvatn is the fourth largest lake in Iceland. It has an abundance of small coves and over 40 small islets. You will have to experience for yourself the stunning natural beauty of the area. 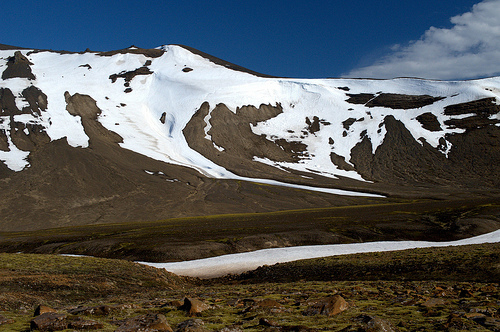 Some of the most popular places are the lava formations at Dimmu Borgir a result of an active volcanic past, Mt. Hverfjall an enormous crater (The rim of the crater is only accessible by two trails, It is strictly forbidden to use other routes up or down). Krafla a 10km caldera, and the geothermal area east of Namaskarour.You will have a great opportunity to observe the abundant bird life in this bizarre landscape. Geysers. No trip to Iceland would be complete without a visit to see the Geysers. 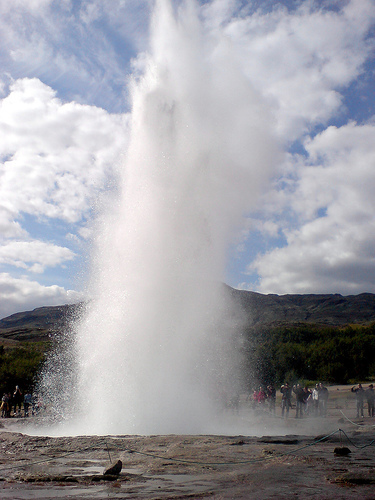 The Great Geyser was the greatest natural attraction in Iceland in the past. It used to erupt a jet of boiling water and steam 80m high into the air. Strokkur is now one of the most famous geysers in Iceland and you can judge when it will erupt as it does so every 5 to 10 minutes. The Great Geyser is located only 20 meters away from it. The spout reaches up to 20 meters’ high and although it is not as high as its’ great predecessor, it is still an impressive sight. Everywhere you look you can see the boiling sulphurous landscape which has many dotted steaming vents and hot and cold springs. Even if you are not a gardener/plant lover you will notice the rare and primitive plant life that grows in this unusual location. 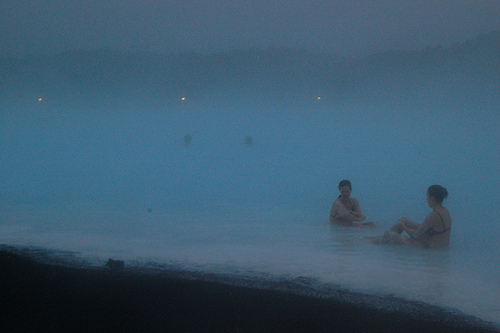 The Blue Lagoon is a stunning natural feature in Iceland. Research tells me that the white Silica mud and blue-green algae form a light natural sediment on the bottom of the lagoon giving it its ghostly, opaque, aquamarine colour. One can not help but be drawn to this natural wonder. Purported to have curative powers this man-made lagoon has a water temperature of 40C. The Blue Lagoon is a truly magnificent and unique experience especially if you wish to bathe in it when there is snow all around you! On a clear day in Reykjavik, the enigmatic Snaefellsjokull glacier can be seen across the sea in the distance even though it is over 60 miles away. People believe that it has mystical powers ever since Jules Verne wrote The Journey to the Centre of the Earth”. The landscape features stunning moorlands, beautiful meadows, rivers and small ponds along with beautiful rock formations not to mention the black sand beaches. Being in Iceland was like being on another planet. Thingvellir National Park is said by some to be one of the most beautiful places in Iceland, having seen so much of it I could not make such a statement as Icelands’ landscape has so many unusual and truly remarkable locations. 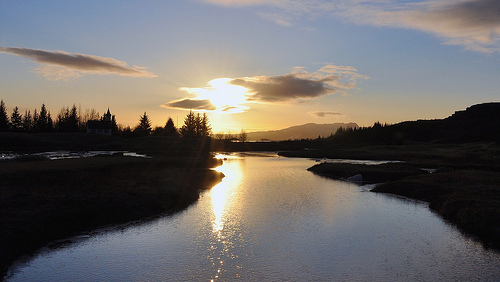 To Icelanders, Thingvellir is a place of great importance as Parliament was founded there in year 930. 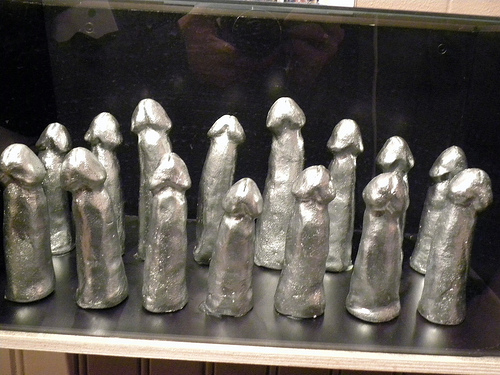 Looks like I want to see a gold Phallus! Haha. Seriously speaking I really don’t know that there are places on Iceland that is not covered with snows that tourist can visit. Thanks for letting us know it on your blog and for the stunning pictures too! Ireland is a spectacular place in every aspect. The Geysers is something that I want to see. I think there are not many places in the world where one can see such Geysers. Its amazing how people can just walk so close to them.